It’s common knowledge that our school offers a variety of sports at either P.E., for fun, or to even play for our school. For example, we have flag football for both P.E. as well as our school team, likewise for volleyball soccer, softball, and basketball. Badminton is a club, and the running team/track for our school works as a club too. We also have more obscure sports that are more centered in P.E. like Olympic handball and frisbee golf. Already you can tell we have a nice selection of sports to pick from, but there’s something that caught my curiosity recently, and I wondered why it wasn’t also included. You may or may not know about another sport called Lacrosse; it’s a sport that doesn’t get as much attention as other sports. Some of the reasons why it’s not super mainstream are because it’s referred to as a more elite sport sometimes because of how expensive all the gear can be and all the paraphernalia that comes with it. Lacrosse is usually compared to hockey and football. Hockey for how the game works and football because its somewhat of a contact sport, but there are different versions that are less rough or require minimum if no contact. The reason I bring this sport up is that I’ve never actually noticed this sport being played here, yet on our P.E. shirts there is a lacrosse stick, and we’ve never actually used that. You might argue that there’s plenty of things on the shirts that we never use like weights or weight lifting in general along with other sports and activities like golf or field hockey. And to that, I say you’re right, and most likely those sports symbols were added just to make our P.E. shirt more appealing and nice to look at. But in 6th grade, I remember actually bringing this up to one of my teachers, Mr. Bischoff, at the time in homeroom asking him why we had a lacrosse stick on our P.E. shirt but never actually got to use one or play the sport. He told me that we do have lacrosse here and that we also have the gear. He didn’t elaborate much being somewhat vague about his statement, but I didn’t question it or pursue it more at the time since it was June. I was still somewhat new to Stacey and just gave him the benefit of the doubt. My following year in 7th grade and so far this year disproved his statement, or so I thought because through that time gap I never heard or saw anything about lacrosse. Until somewhat recently, about 2 or 3 months ago, I was in P.E., and I saw Mr. Ouellet open the big shipping container we have next to the gym. When he came out, he was carrying two lacrosse sticks and what looked like an old lacrosse ball. So this sent me back to what my 6th-grade teacher said before about lacrosse. But now I was wondering if we have the resources and supplies to do the sport, how come we never hear about it or see it? And has this sport ever been played here in the history of Stacey? Well, I asked a few teachers this year of my own. Mr. Mitchell claims he’s never heard of or seen lacrosse in action at this school since he’s been employed and neither has Mrs. Walters. But as of writing this right now, I got the opportunity to ask Mr. Ouellet about lacrosse and the history of this school and if it has ever been done here before. His response was it was done actually, and he estimated the last time it was done was about 4 years ago actually. The reason they stopped wasn’t because of a tragic incident or something but only because they lost the space/facilities to do it because of the construction of the gym. From what I’ve also gathered is that schools like Johnson in our district get to play lacrosse currently, but we don’t. Who knows maybe in the future kids here at Stacey might get to play the sport again. I’ve asked a few students and of which Daniel Cassidy said that he would be more than happy to play the sport. He claims to have never played the sport, but as an athlete, he would enjoy the change of pace. Others like Jack Hall agree that playing the sport would be fun. So one day maybe Stacey will bring back the sport. Who knows? What we do know is that it would be very well received. there is no need for lacrosse because we already have so many sports and the PE teachers work so hard to get those sports in, and adding another sport into the mix would be hard for them to do. I agree, but more people should join the soccer sport to make up for the lost unit, though. I play Girls Lacrosse right now. It is so much fun I am happy that I might have a chance to play it at school. Hi new Gavin, you misspelled Mr. Bischof’s + Mr. Ouellette’s names. I know because I had Mr. Bischof for 7th grade ELA/Reading + Mr. Ouellette for 8th grade PE. 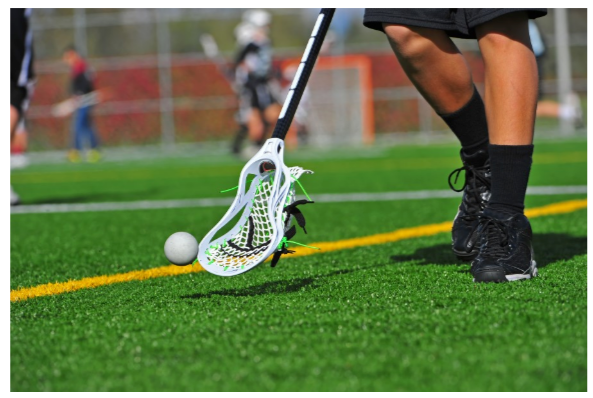 Also, if you’re an MHS bound 8th grader that’s good at lacrosse + wants to be in it at high school, there is a lacrosse at MHS even though it’s not as popular as the other sports here at MHS, such as football, tennis, soccer, cross country, track, badminton. Thank you for the input I’ll make sure to correctly spell there name next time and as for hs I am going to mhs. And I do plan to play on your guys Lacrosse team. I hear it will be co-which is fine but I also know Marina track record for lacrosse isn’t the best compared to schools like Huntington.